Inspection, maintenance and repair (IMR) subsea services provider N-Sea said it has reinforced its commitment to the Middle East with expanded its service capabilities in the region. 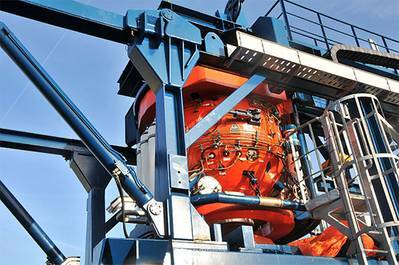 Designed and built in-house by N-Sea, the TUP Diving System is a mobile, surface-oriented closed bell diving system comprising a three-man bell, launch and recovery system, triple lock decompression chamber and gas diver control (Air/Trimix/Nitrox). Deployable from most DPII support vessels and platforms, the system bridges the gap between regular surface-oriented and saturation diving operations while delivering increased workable bottom time by up to 63 percent, diver safety and swift mobilization, N-Sea said.